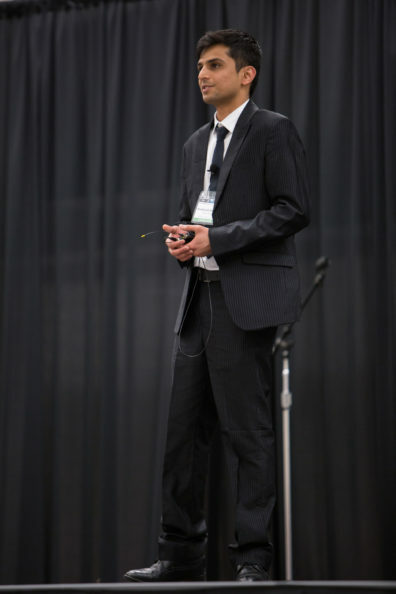 In January, a team of researchers in Dr. Shulin Chen’s Bioprocessing & Bioproducts Engineering Lab earned the privilege of moving on to the next step in the Alaska Airlines Environmental Innovation Challenge. The Alaska Airlines Environmental Innovation Challenge, on Thursday, March 31, is in the Seattle Center. It’s a competitive tradeshow-style event with a total of $36,000 being awarded to winning teams. 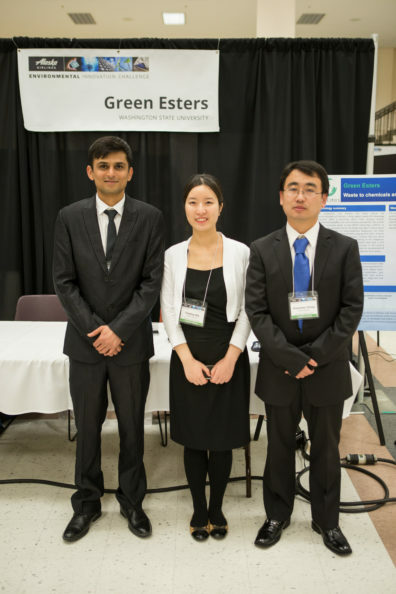 The team is Green Esters, which has developed a synthetic biology platform to transform the negative-value or low-value waste materials into advanced biofuels and valuable chemicals. It includes Rishikesh Ghogare (rishikesh.ghogare@wsu.edu), Yaojing Qiu (yaojing.qiu@wsu.edu), and Xiaochao Xiong (xcxiong@wsu.edu). The Alaska Airlines Environmental Innovation Challenge was founded in 2009 and has since awarded more than $180,000 to winning teams. It’s an event with more than 100 judges from the Seattle entrepreneurial/cleantech community listening to the teams pitch. The technology showcased is truly incredible, and many of the teams conceived for the EIC are still companies today (like PotaVida and WISErg).